Here’s the Sounders-Galaxy game Saturday by the numbers and here’s 15 million reasons to visit StubHub Center next year for an MLS game. 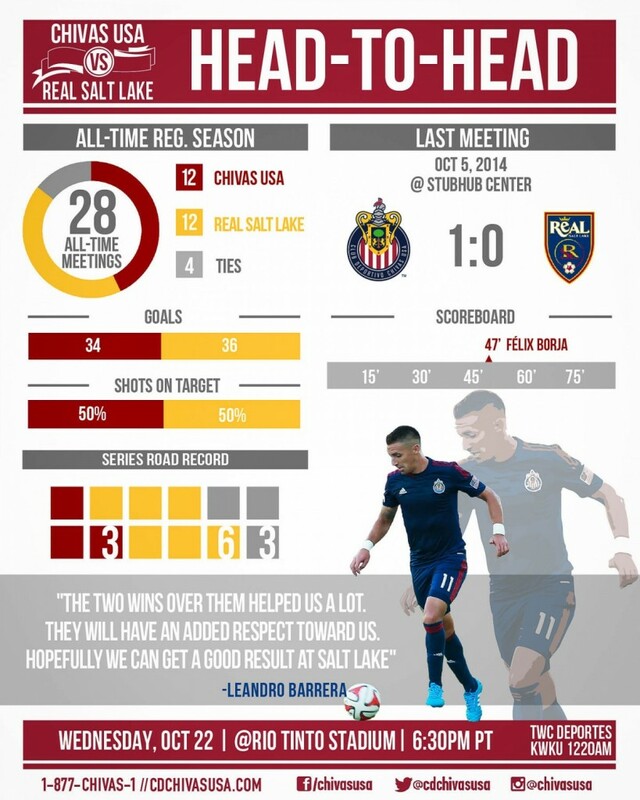 As incredible as it sounds for a team with just eight wins all season, Chivas USA is not only seeking to sweep Real Salt Lake tonight in the club’s penultimate game of the season, but with two wins in its last two games the team can claim a four-game win streak to end the season and register its best year since 2009. With a crowd over 60,000 against the Galaxy in Seattle Saturday, the Sounders will set a new record MLS mark fior the sixth consecutive season. Versatile Galaxy defender A.J. DeLaGarza, 26, has signed a new multi-year contract with the club he has so far made more than 155 appearances for since being drafted in 2009. DeLaGarza is earning $157,500 with the club this year and was named its Defender of the Year last weekend for a second time. The Guam international (who also made a couple of appearances for the U.S.) has played every position this season on a Galaxy back line that has conceded the fewest goals in MLS. Beckham bud and director Guy Ritchie directed the spot, BTW. 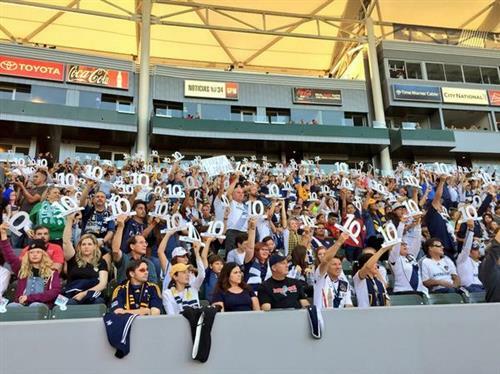 Thanks #LD: Galaxy fans pay tribute to retiring No. 10 landon Donovan at Sunday’s game at StubHub Center (Photos by Staff Photographer Stephen Carr). Read more in this week’s column. Let’s get this party started: The pre-game smiles from LA coach Bruce Arena didn’t last until the final whistle as the Galaxy and a near-invisible Landon Donovan surrendered a two-goal lead against Seattle Sunday in Carson. Now that Landon Donovan’s special day is over, the Galaxy head into hostile territory needing a win Saturday without defender Omar Gonzalez against the Sounders after the 2-2 draw that felt like a loss Sunday in Carson. Major League Soccer Sunday: Retiring Landon Donovan and LA Galaxy host the Seattle Sounders live at 5 p.m. on ESPN2 with championship on the line. Last Dance: Galaxy coach Bruce Arena and Galaxy playmaker Landon Donovan, a partnership that began at the international level and blossomed at the club level with two MLS Cup wins in Southern California, begin one last championship quest in earnest today with the regular season championship to be decided over the final two games against Seattle. Los Angeles News Group MLS beat writer Phil Collin has the game preview, while the Pacific Northwest perspective is here. We will have coverage throughout the day and before, during and after the game. 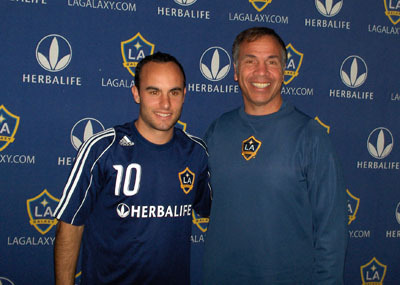 Los Angeles News Group Writer Phil Collin had an exclusive interview with Landon Donovan about growing up in Southern California before the eyes of friends and family with its challenges and benefits. 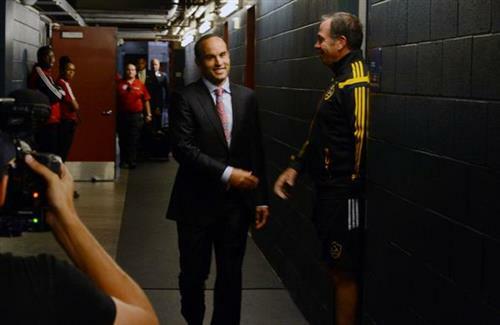 You may have read a lot about Landon Donovan lately, but this is his story through a local lens. This is the fourth in a six-part video documentary series being released each day leading up to Sunday’s final regular season home game in the career of the Southern california native. Having the opportunity to have their photo taken with the MLS Cup trophy from the Galaxy’s MLS Cup victories in 2002, 2005, 2011 and 2012 as part of SoccerFest, located on the South Plaza at StubHub Center. 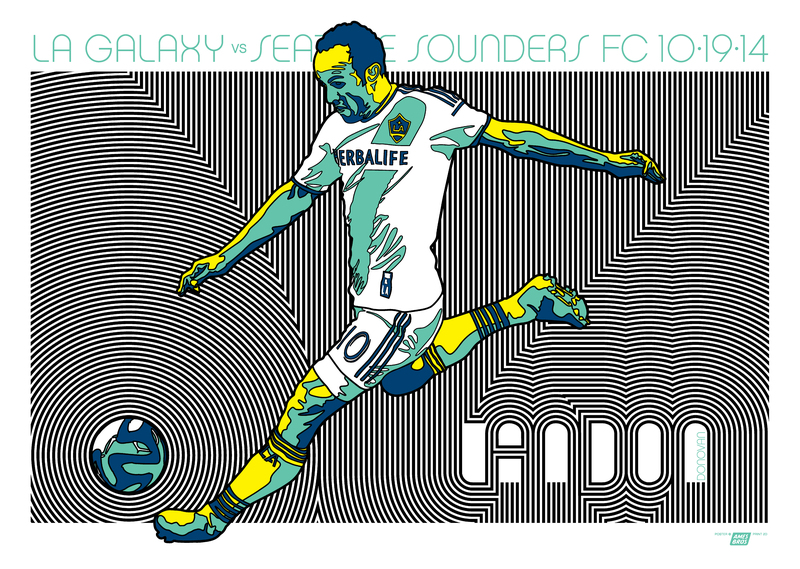 Writing a personal message on a #ThanksLD canvas. A No. 10 card fans will receive as they enter the stadium. A stadium-wide Landon Donovan chant when the game clock reaches 10:00 and thank you videos from fans played before the game and at half time.